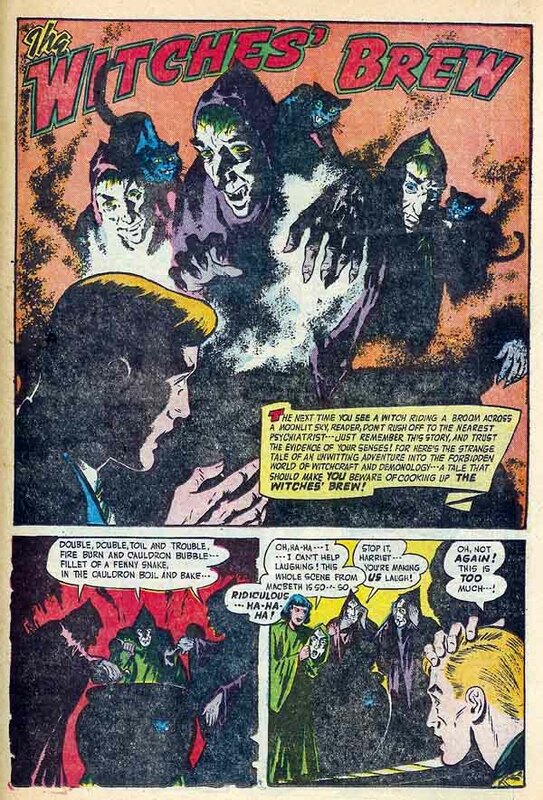 Oh and before someone mentions the following: Young Love's hiatus from Prize to DC was: last Prize is December 1956 and first DC is Sept-Oct 1963. Which leaves me to re-check on Young Romance and see if we need to disqualify it for too long a hiatus. I was swayed by Donut (? I think) on adding this one. Checking the OS instead of the GCD, Young Romance went uninterrupted for the whole period and it seems the same for Young Love. CBG 1598 shows March of Comics for March 1952 is # 81: Oswald the Rabbit and for June 1972 is # 370: Lassie. Generally I see the Gene Autry and Roy Rogers March of Comics for sale but I have never seen this Oswald the Rabbit one. Any dealer keeps these in inventory? Notice that this a 52 pagers. Most books by this time had already decreased page count to 36, hence the mention on the cover of the 52 page length. To check out the evolution of the page count, see the Keltner index link at the bottom of the AE 42 page link above. Airboy itself was an enduring title with a total all said of 111 issues if you count the original Air Fighters issues. 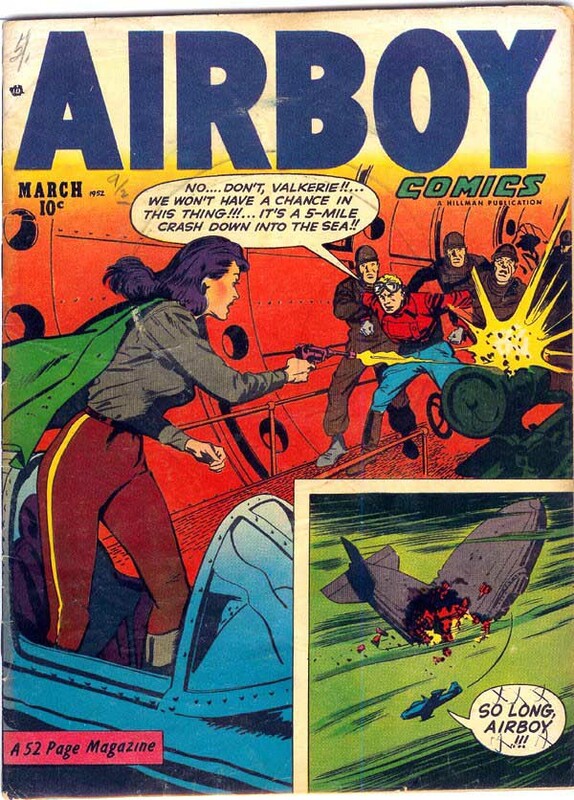 There were a total of 89 issues titled Airboy. 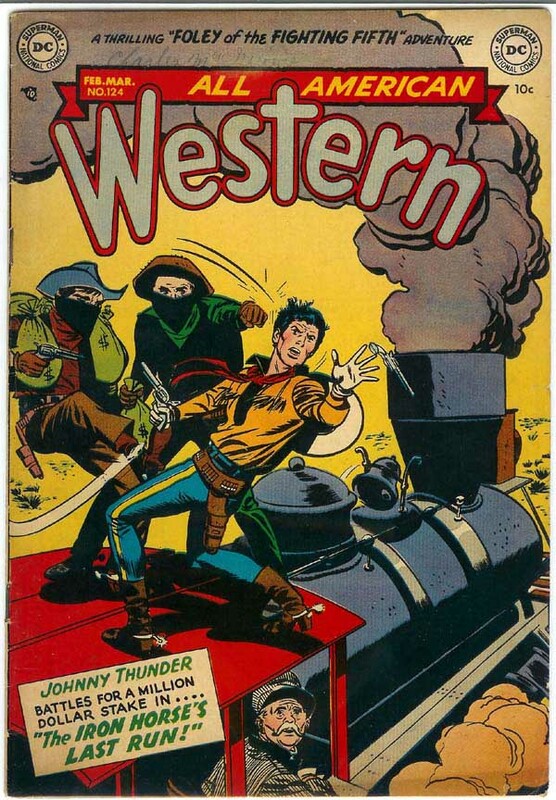 All-American Western 124 - Bought at last year's San Diego con. Sell the furniture, buy more comics! The room looks great. Are you in the room much? Are you concerned about your comics fading? Not worried about fading much. This is in the basement so ambient light is minimal and the lights appear much worse in the scans than they are. I put the romances and westerns the closest to the lights anyway. Plus considering the average grade of the collection, I don't think I can do much more to harm their condition. The computer is on the other side of the room so I am down there a lot + my job has me reading a lot so at times I go down away from all noise and enjoy the room. As far as furniture, well ... I had no choice / say in this as my wife insisted we dress up the shelves (which means furniture and more furniture). 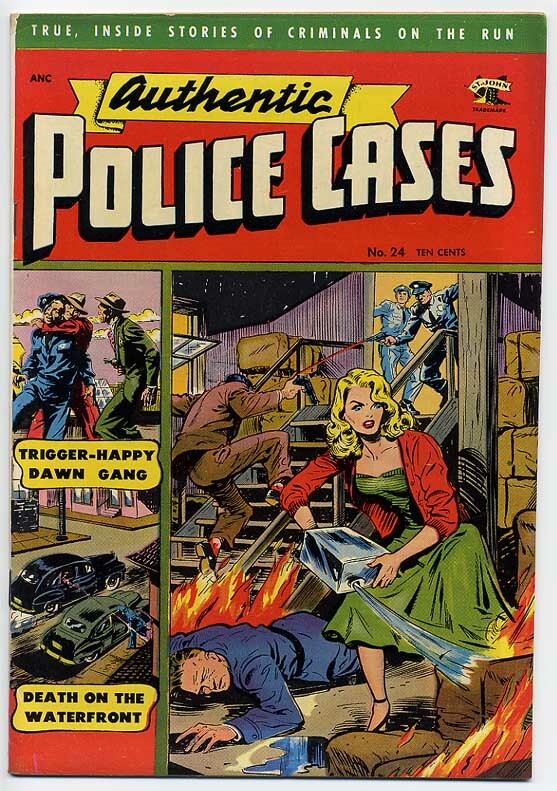 All True Crime Cases 49 (Continued from Official True Crime whose numbering started at 24 in Fall 1947) - Purchased from Southern California Comics listed as a Fine. 9532 Squeeze-Play by Vern Henkel 5 pgs. 9396 The Prisoners by Jack Keller 6 pgs. 9446 The Frame-Up by Marion Sitton 6 pgs. Greg Sadowki's book on Krigstein should be on everyone's shelf. Volume 1 is a great look at this artist's life. It is also a very well crafted in-depth analysis of his work. I'm really enjoying these write-ups! Keep 'em coming! The Racoon Kids by Otto Feuer 6 pgs. The RKs are Rudy and Rollo. 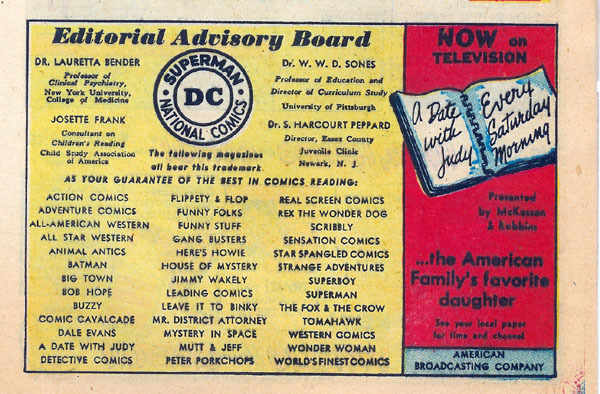 "... [DC] brought out two new funny animal anthologies in the early part of 1946. Nutsy Squirrel starred in one of them. The other, Animal Antics (first issue dated March-April of that year) introduced The Raccoon Kids. The kids started out in the back pages, with the cover and lead story featuring a rabbit prestidigitator named Presto Pete. The Raccoons replaced Pete for one issue in #3 (July), then took over the cover and lead spot permanently, starting with #6 (January, 1947). The artist who handled them, not just at first but almost exclusively throughout their run, was Otto Feuer (The Dodo & the Frog). The writing credit is less certain, but they're believed to have been co-created by Sy Reit (Casper the Friendly Ghost). The same team (definitely Feuer on the art, probably Reit on the -script) was also responsible for Peter Porkchops. Rudy and Rollo Raccoon were typical boys, only raccoons instead of humans, about 8 years old. They were twins, like Heckle & Jeckle or Dover & Clover, but few if any story points were made of their twinhood. They didn't even dress alike. In early stories, their nemesis was Uncle Percy, who frequently played mean tricks on them — but of course, they always managed to avenge themselves with even meaner tricks of their own. Though supposedly related, Percy didn't look like a raccoon. Maybe he was a short-haired weasel. Later, Percy was dropped from the cast, and the stars were played against a guy closer to their own age, named Muggsy Mole." " ... most [DC funny animal titles] modified their titles to suggest (without outright claiming) a connection to theatrical animation. Animal Antics became Movietown's Animal Antics with its 24th issue (February, 1950). Then all were re-titled after their lead features. Movietown's Animal Antics became Raccoon Kids with its 52nd issue (October, 1954)." Somehow I already had the first pages of each story scanned so I'll put them up here. My copy seen above is a Canadian version. Below is the US version. Notice between the two copies that the Canadian version badly blocked out both the month (Jan) and the letter K below the price. My copy also has the addition of CDL in black type (sadly, I can't seen to figure out if it is part of the print or if it is a later stamp but I tend to believe it is printed on the cover). My guess is that they are distributor's code and should not appear on the wrong side of the border. But what about the month deletion? There is a date stamp on my copy, located in the stack of hay right below the A of Apache stated Dec. 12 1951 which is in keeping with others I have. So no explanation for the month deletion as it appears both US and Canadian version would have been on stands at about the same time. 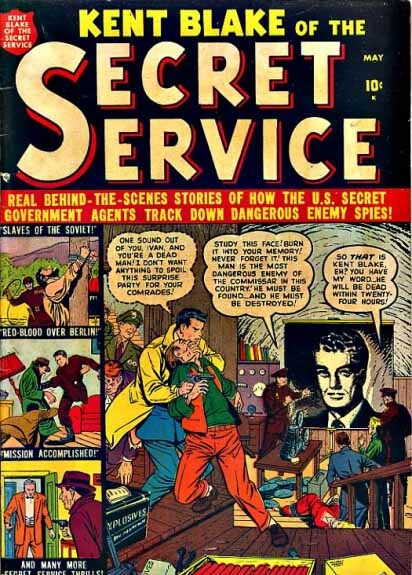 While the title lasted until # 19 (before becoming Western Gunfighters), # 11 would not appear until December 1954! [see one can easily be fooled thinking a title was published continuously but certainly wasn't]. While I can't ID the artist on the Apache Kid sequences, a lot of Apache Kid work was done by Werner Roth. As far as the Bellman story, for those who like "fake" early appearances, how about this Black Panther? Who is he and what does he look like? For more on Bellman, see our beloved Alter Ego 32 for his interview by Doc V. whose complete transcript can be seen at Bellman Interview with accompanying art as well as wonderful Splash Gallery (sans the one above, my bonus to you). I particularly like the Western Outlaws & Sheriffs #72 2nd story splash on the second page of the gallery. 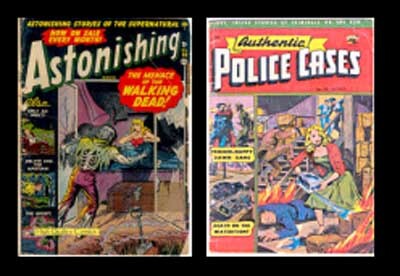 One thing I find rather funny as I look back at the Teen-age Heroes comics is that, despite the times, I find the 50's covers more "daring" than what Archie would allow in today's marketplace. I don't imagine the current editors would run this cover gag today. I noticed this also on many of the covers board member lotemo's website. Most Archies were still published with a higher page count making them one of the best deal on the newsstands money-wise. The following table displays, for publishers for whom I have indexed at least 3 comics, the average total page count of comics, the percentage of actual story pages, the number of story pages, the number of stories, the percentage of ads, and finally the cost per story page. What you don't see is the count of the number of 1) text pages, 2) short features, games, and sometimes 1 page gags and 3) in-house ads. Overall, because Dells, while offering a lower page, was carrying no ads, they were about as good of a deal as Archies. Notice that some of the laggards are both National and Atlas. Yeah, on the cover Mordeau is spelled without an "x". We see some early Atlas work by Joe Sinnott so I'll include it below as well as the splash page from the un-attributed story: Reign of Terror. I'm adding that Astonishing to my want list, the cover and contents look cool! Thanks for the Allen Bellman interview/splash gallery link, as he was completely off my radar. His style was a bit crude, but it has an energetic quality not unlike early Krigstein in spots. I dug out my copy of Crypt of Shadows 11, which reprints the story "Vampire Brats," a nice little 4-pager drawn by Bellman. Anyway, this thread is good stuff, keep it up! this is a really cool and unique project, looking forward to more pictures and updates!! This is a great thread and I like the way you're providing the information on the books and the interior art scans. It's clear you really love the books. The pace of posting is just fine. 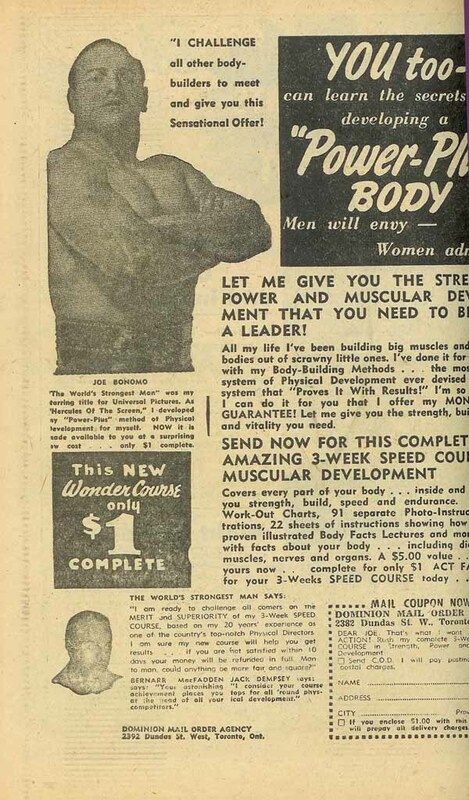 It's a nice thread to return to every few days to see what's new on the newstand for March 1952. Don't you just hate it when Sue gets pi$$ed! And yes, there is no story inside relating to the cover. I find that ACG could have been more than what it was. It certainly had the artists needed to be successful but I feel it's the stories that put them in the forgotten publisher of the Atom age category. 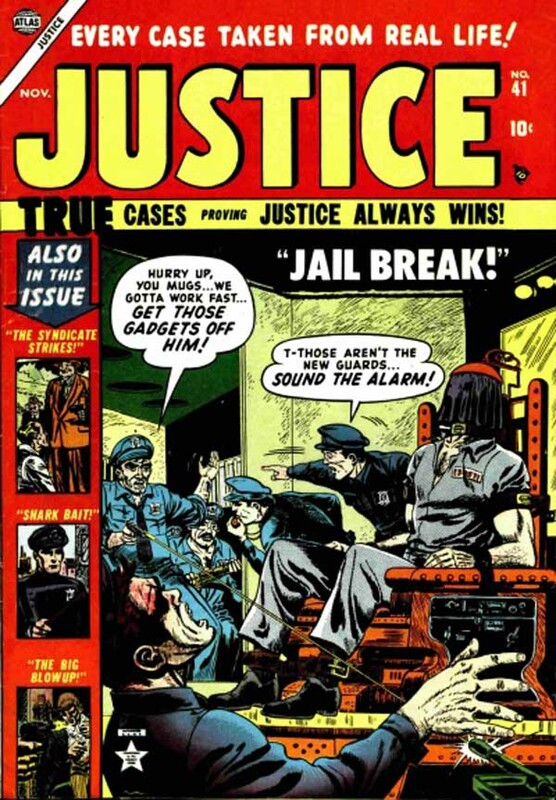 Think about it, this is the company that put out the first (continuing) horror comic book but you'd be hard pressed to have the general comic book community (twenty and thirty-something readers) remember their output. I'll come back to ACG later on other books and will also talk more about Michael Vance's book: Forbidden Adventures - The History of the American Comics Group at that point. Today, I just want to concentrate on Ken Bald. You can find an excellent overview of his career and examples of his strip work on Dr. Kildare and on Dark Shadows at the Rules of Attraction website and the second part here. For that matter check the entire feature here. Hurry, the articles are not permanent. "I remember - it was Ken Bald in fact, one of our artists - talking to me about how uncomfortable he was drawing this stuff, and realizing when his wife and kids came into the room he'd want to cover it up so they couldn't see what he was doing. ... They were getting bloodier and bloodier." Ok, since most everyone that chimed in likes to see interior art, here are two examples (Thanks everyone for the kind words of encouragement, I am thrilled that you like to see the inside of these. I'll keep on posting those. They are the most important to me as well). DD: as far as buying that Astonishing, you'd probably be better off buying this and have more fun that with some lackluster endings in that Astonishing issue. Something different for today. I plan at the end of each letter listing to show you a visual want list, that is, books I know I will need and for which I have a scan. So for the As and tomorrow we'll start the Bs. Due to Scrooge's Authentic Police Cases being on vacation, I'm guest posting for him.